My impression of my friend Pharaoh: He is a very sensible person and interested in spirituality as well. He questions himself and his role in this world and with his thoughts goes deep into the purpose and questions of life. 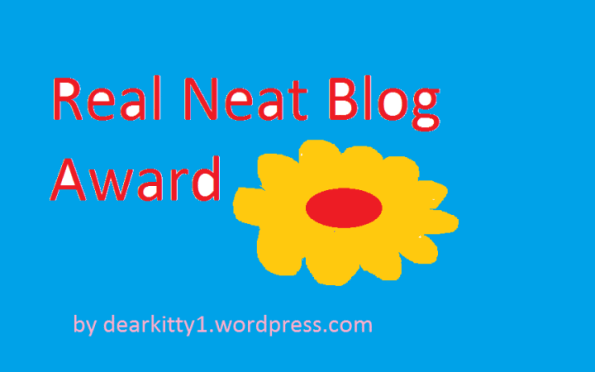 I want to thank him for his active friendship (participating in comments and showing interest in my thoughts and writing as well) – so I want to recommend him, to visit his blog-site as he is surely an enrichment for every blogger. 1. What is your main inspiration as a writer. Which writers inspire you, and why do you write? As I am interested to get to know myself in the sense: “Man know thyself” – I have carefully observed my own mind and found that there is a connection with other people, means that those things may also occur in their lives, in their experiences and in their minds. This inspires me to write about spirituality and share with the community of wordpress. I am reading many books about spirituality and my favourite ones are written by my Master Sant Kirpal Singh Ji, Dr. Harbhajan Singh, Kabir, Rumi and Baba Jaimal Singh – they can give many practical advices as they lived their live not just in theory but living practice. I started writing poems at the age of 20 when I was sitting in the middle of the nature, close to two lakes and was so much filled by love for the beautiful nature of Finland, far and wide no other person – just the nature and me – that I began to write what came straight out of my heart. 2. If you were stranded on an island with one thing what would it be? 3. If you could travel anywhere in the world right now where would you go? I would go to Kirpal Sagar, in India, about 350 km northwards from New Delhi. It is a wonderful place for the whole mankind where not only social work can be done to help poor and needy people to get free medical treatment and operation, not only because there is a school with about 650 students educated in the right sense of life, being taught respect and love for everyone, not only because there is a hospital which many voluntary helpers from all over the world have built up – also to help needy persons, not only because there is and old father’s home for those who are poor and lonely and have no family to care of them, and many things more, but also because this unique place has all world-religions peacefully under one roof – due to Sant Kirpal Singh’s initiative and the huge helping factor of Dr. Harbhajan Singh and his wife Biji Surinder Kaur who have spent their lives with each blood-drop devoted to the Mission of Sant Kirpal Singh, who had and has a big heart for all people of the world. There, Kirpal Sagar one can practise spirituality in its true sense and become a real man with human attributes, to help each other and to be there for each other. 4. What is more important to you, self-love or health? I would say it is Self-love (not to mix with loving oneself as a narcissist) but to love this higher Self in us in which we are all connected has for me more priority than just health – if it is in my fate to die of some illness – ok, I would accept it. Isn’t the higher Self a collective consciousness that connects us all? It is said: first comes Self-realisation, then followed by God-realisation… So I do not love my mind or ego but the higher Self in me… however, I will treat also my mind, whenever possible, kindly. 5. If you had to eat a food every single meal for the rest of your life what would it be? It would be always vegetarian meals anyway (no eggs but with some milk products) I have heard that nuts for example is enough to survive and I would also eat lentil soup as it is rich of proteins, also potatoes with just some milk or quark, besides of course vegetables of all kind, also fruit. 6. What is one thing you truly regret on a deeply profound level and wish you could change? 7. What are you most grateful for in life? 2.) Which music instrument you like best? 3.) Your favourite music band? 4.) How to bring religions together in harmony? 5.) If you could choose an extra school subject – what would it be? 6.) Can politics bring a change in the world? 7.) Why it is important to learn from own mistakes? 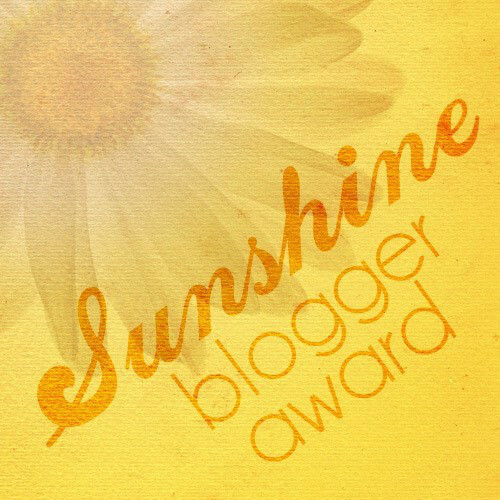 Simplisticinsights has nominated me for the “Sunshine Blogger Award” for which I would like to express my thankfulness. From her writings you can learn that she is an open-minded person, always ready to learn new things in her life. If you want to know more about her just visit her site. 1.) Most memerable day of your life? When I had an awful car-accident together with my family. We were on the motorway when suddenly one tyre exploded. Then we were in a kind of super-carousel with many loopings of the car. When coming back to the street on our wheels then we were all lucky to have survived this accident: the car was totally damaged but we all got away with not even one scratch. Our thankfulness to God as He has had His protecting hands over us. 2.) Most beloved feeling you have ever felt, Explained in detail? Once I hugged someone and it felt like being beyond time and space, as if two souls merged together as one soul – words cannot express this condition. One of my most beautiful journeys was to set a foot on Iceland and see its wonderful landscapes and beauty. The nature there is very rich, although there are not many forests or woods (in fact no forests) as we know them in Finland, but it has its charm and magic in the huge waterfalls, sulphur lakes, (blue laguna near Reykjavik), earth-quake areas, volkanos, crater landscapes, calderas, geysers and much more… also Svalbard, 1000 km northwards from North-Norway was very interesting too. Then I also like all old cultural countries with there mysteries. 4.) Most memerable dream you have ever had? 5. Most desired destination you wish to visit someday? I would like to visit Greenland, Alaska and North-Canada as they have something very special: mostly untouched by man. I am also interested in all ancient high cultures that our mankind has brought foward throughout the history. Those old places where mystical traces of such ancient cultures were left in giant monoments, I would like to visit too. 6.) Best Triat in your writing style? I usually want to write in such a way that the result is not at the beginning but at the end, so that the reader still might be interested to read to the end in order to get to know the revealing sense of it. 7.) If you could have one superpower what would it be? 8.) If you could attend any event what would it be? I would like to observe the lives of all competent Masters coming into our world – and to learn from them directly how they handle situations, even difficult ones. 9.) If you could be someone or something for a day what or who would it be?Personified love and bring love into the hearts of every person in the world. 10.) If you could meet anyone in the world who would it be? 11.) If you could travel back in time, which year would you visit and why? I would travel back to the time when the pyramids were built – how did they build them, how was it possible when mathematical precision was required, even to bring in such a condition that all was for example oriented towards the stars “Orion” without knowing mathematical sizes as Pi and golden cut? 7.) If you could bring in a new field of lesson in school-programm, what would it be? 11.) Whhat means for you: “Man know thyself”?